Whether you've spent years in IT, are just starting out, or you have kids who you want to push in the right direction for a good technology career, everybody wants to know where the jobs will be in 5 to 10 years and what skills will be needed to do those jobs. That's especially true as organizations are on the cusp of implementing artificial intelligence and automation, which some say could be hugely disruptive, potentially eliminating millions of jobs. There are plenty of opinions about what that future economy and workforce will look like after the coming AI revolution, but no consensus. 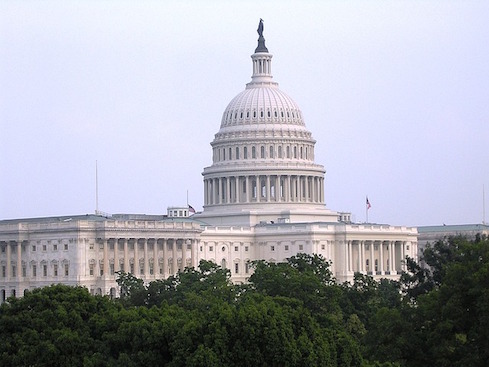 Those questions and possible futures were among the topics of discussed by experts in testimony before the US House Oversight & Government Reform Committee's Subcommittee on Information Technology last month. The hearing was the third and final in a series about the game changing potential of artificial intelligence, and how the government should participate in policy. "AI will have a significant influence on the economy," said Jack Clark, strategy and communications director at OpenAI, in written testimony before the subcommittee. "The one trillion-dollar question is whether it is going to be a good influence or a bad one for the workforce." The Organization for Economic Cooperation and Development in a report said that 14% of jobs in OECD countries, including the US, are highly automatable, and 13 million jobs are at risk from automation. Gartner reports that by 2020 artificial intelligence will create 2.3 million jobs and eliminate 1.8 million jobs. "AI advances will undoubtedly have multiple influences on the distribution of jobs and the nature of work," said Terah Lyons, executive director of the Partnership on Artificial Intelligence to Benefit People & Society, in her prepared testimony. Some of those changes will be good. "The great news is that the really unpleasant and unsafe jobs will go away." Said Gary Shapiro, president and CEO of the Consumer Technology Association, in his testimony. He cited a few unpopular jobs in manufacturing and food preparation. One of the other witnesses, Ben Buchanan, a postdoctoral fellow at the Belfer Center Cybersecurity Project at Harvard University, agreed. "Near term, the jobs that are most at risk are jobs that involve repetitive tasks," he said, even if they are jobs that also involve intellectual firepower. "Long term, as we move toward the era of self-driving cars, one could imagine that services like Uber and Lyft and taxi companies might not see a need for drivers." But those changes will reverberate through the economy as well. "There's some suggestion that if we had such a world we would need fewer cars in general," he said. "When you look at the longer-term horizon there's a lot more uncertainty and a lot more potential for disruption, particularly with knock-on effects. If the auto industry is smaller, for example, what would the knock-on effects be to suppliers?" That said, it's important to also note that in many of the reports and estimates, forecasters are predicting that in addition to the jobs eliminated, there will be new jobs created, too. In his testimony, Clark pointed out the demand for AI skills that exists already. "Compared to 2013, there are now 4.5 times as many US jobs listed on the job search website Indeed.com that require AI skills, according to the AI Index," he said. "This is a symptom of a challenge the AI sector in American faces. Demand for people with AI skills is outstripping the supply of people with those skills, which is causing the private sector to hire people away from academia and to hire students earlier in their careers, and we are not increasing funding to let academia keep pace with the demand from students." Another problem is knowing where those jobs will be geographically. Clark said that there's a real deficiency right now in measuring today's efforts in order to improve future forecasts. "It's very difficult for me to tell you today what happens if I drop a new industrial robot in a manufacturing region," he said. "I don't have a good economic model to tell you how many jobs get lost, but I have an intuition that some will. That's because we haven't done the work to make those predictions." Being able to do that work is important and will impact success in AI. "If you can't make those predictions then you can't invest in appropriate retraining in areas where it's actually going to make a huge difference."